This is a two-part series and you can check out part two of ‘22 things you must know before visiting Eilat’ here. If Eilat had a last name, it would be ‘Magnificent’. 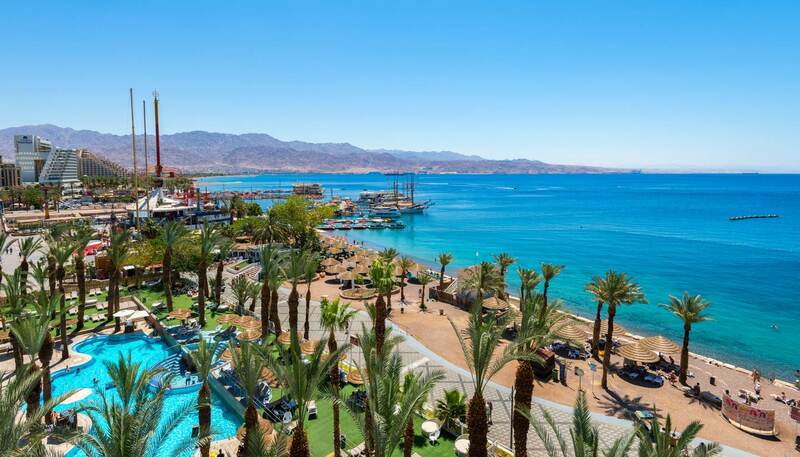 The southernmost city of Israel, Eilat is fast becoming a must-visit destination for holidaymakers thanks to its spotless beaches, reliable, year-round temperatures and easy access from the UK and mainland Europe. Before travelling to Eilat, here are the 22 things you should know. Ryanair flying from Berlin, Bratislava, Brussels, Gdansk, Kaunas, Milan, Prague, Poznan and Warsaw. Wizzair flying from Bucharest, Budapest, London, Riga, Sofia and Vienna. All international flights currently touch down at Ovda (VDA), which lies 60km (37 miles) north of Eilat, however, the city is planning to accommodate the growing number of visitors arriving on its sunny shores with plans for the construction of a new airport. Israel understands the political considerations surrounding an Israeli entry stamp on your passport (which may see you subsequently being unable to enter other countries), which is why they have stopped stamping travellers’ passports. Instead, they give you a tourist card which you must keep with you during your stay. While it is true that when crossing from Jordan to Israel or vice versa, the Jordanian authority may stamp to indicate that you are going to or have been in Israel, you can politely request for them not to do so and they will stamp a form instead. Security checks are strict for flights bound for Israel. When travelling to Eilat, you’ll want to get to the airport three hours in advance of your flight. The same can be said when departing Eilat, so allow plenty of time to go through security for your home-bound flight too. Eilat’s crime rate is relatively low and of the crimes that do occur, most are opportunistic. Tourists are safe to roam around even after midnight. Eilat is a compact city with most activities centred along the King Solomon Promenade, which is likely to be within walking distance of where you are staying. There are also plenty of taxis too. For those who prefer to book with an app, Uber isn’t available but Gett is an equivalent Israeli company that provides on-demand taxi services. Buses, particularly Line 1, are popular with tourists too, however, it’s worth noting that they don’t run during Sabbath (sunset on Friday to Saturday night). A single journey within the city is 4.90 shekels. Eilat has an incredible selection of food and being a coastal resort, there’s an abundance of fresh, seasonal seafood. Most hotels offer a delicious spread for your morning meal so take advantage of half-board (breakfast and dinner) or full-board (all meals) options and you will dine well in Eilat. There is also a bounty of terrific restaurants to suit all budgets in the city, see the Restaurants in Eilat guide for more information. Israeli tap water is safe to drink and, just as in Europe, you can also buy bottled water. 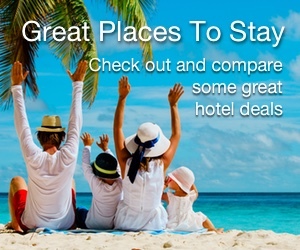 It’s worth asking if your preferred hotel has water filters if your stomach is particularly sensitive. Eilat is home to many joyous events and occasions – such as the Red Sea Jazz Festival, Eilat Food Festival and the Red Sea Beer Festival. The latter takes place in mid-October and is full of locals selling craft beers and brews. Travellers who are into posting enviable Instagram posts will be grateful for ubiquitous WiFi access throughout the city. If you intend to make a few trips into the Negev desert and beyond, it’s best to purchase an Israeli SIM card from any store selling handsets. For 80 Israeli New Shekel (about or US$22 or £17), you get unlimited calls, text and 4G of data. 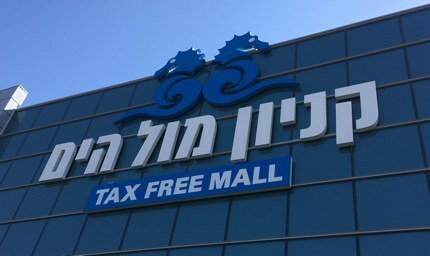 Eilat is VAT-free and offers a terrific shopping experience that’s cheaper than anywhere else in Israel – 17% cheaper to be exact. Being in such close proximity to the Dead Sea, the city is home to a range of unique items, from mud packs to salt scrubs. Israeli wine also makes a great gift for friends and family. With no cages or fences restricting marine life, Eilat’s Underwater Observatory is one of the few underwater observatories on the planet where visitors can see marine life in its natural habitat (the others are located in Milford Sound in New Zealand, Piti in Guam, and Busena Marine Park in Okinawa, Japan). Additionally, the marine park boasts sizeable exhibits and aquariums containing turtles, sharks and other rare/endangered sea creatures. This is a two-part series; you can read part two of ‘22 things you must know before visiting Eilat (part 2)‘ here. And before you go, see the complete Eilat travel guide.